Mr. Tree’s fast, reliable, and safe services include tree removal, tree trimming and pruning, lot-clearing, and 24/7 emergency services. Our team serves Delaware, Chester, and New Castle Counties. Watch, frame-by-frame, as we remove this tree for our customer in Broomall. 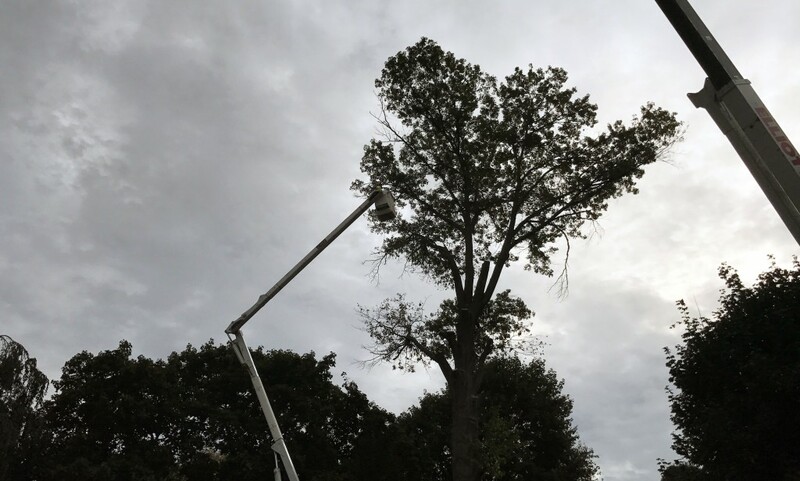 While removing a large tree may seem like an intimidating task, our team is able to break it up into smaller chunks. As you will be able to see from the video below, we safely haul each piece of tree away using a crane. When you’re ready to get started, get your free quote by filling out our online form or by calling (484) 999-0040.